Starting with Wednesday evening and the penultimate Handicap of 2017. With the annual competition so tight all the main protagonists were out to either defend their positions or try and move up. On a very cold evening Paul Biggs was the winner on the night with a huge 2 minute 55 second improvement and he was one of three members to record season’s bests as he returns from injury. On top of that seven runners achieved outright personal bests including four of the top five contenders for the annual Handicap competition. Saturday morning was a wet one but it didn’t deter eleven members from the toeing the line at Parkrun Frimley Lodge. Clive Rolfe was the first SJ to finish as he completed his 50th Parkrun in 19:57. Gavin Loader grabbed a Parkrun PB while simultaneously shepherding his kids to another great finish. Another eleven SJs ran at Bracknell with Matt Jones the first member to finish in 22:27. Another week, another PB for Blanche Barnes as she continues to improve finishing in 29:15. 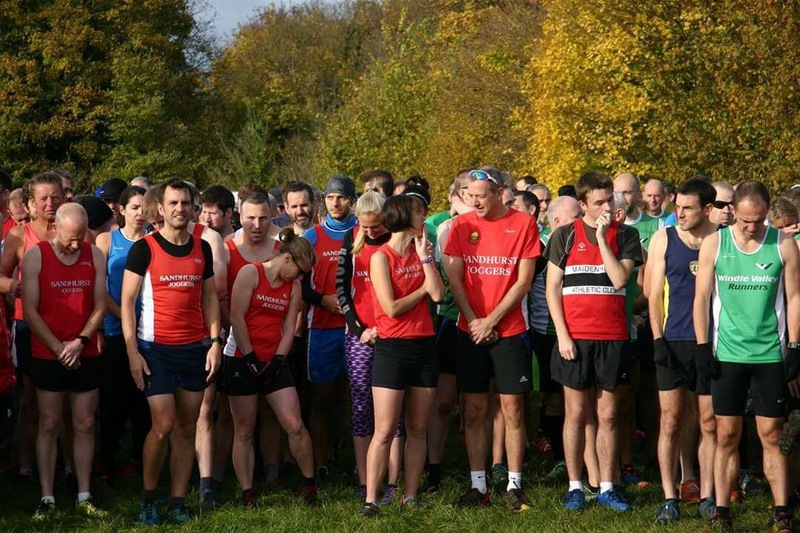 Just two members at Parkrun Rushmoor this week; Louisa Enriques finished in 28:24 and Dave Bartlett in 29:26. Just one solitary Parkrun Tourist this week, the lowest on record (well my records anyway!) as Frances Parkes ran at Leamington Parkrun. Richard Boese and Leon Hicks ran at the Remembrance Day Marathon on Saturday with Richard recording his best time at the event as he finished in 4:47:27 while Leon continues his remarkable quest finishing in 5:11:54. Andrea Hadfield ran at the Dark Valley Half Marathon on a course that started at Moors Valley Park near Ringwood and the 5pm start meant runners had to run around the woods and trails under moonlight with just a headtorch to light their path.